Hi - quick one: where can I find on my hard drive my LR presets, so I can copy them to my new computer? Depends upon where you told Lightroom they are. 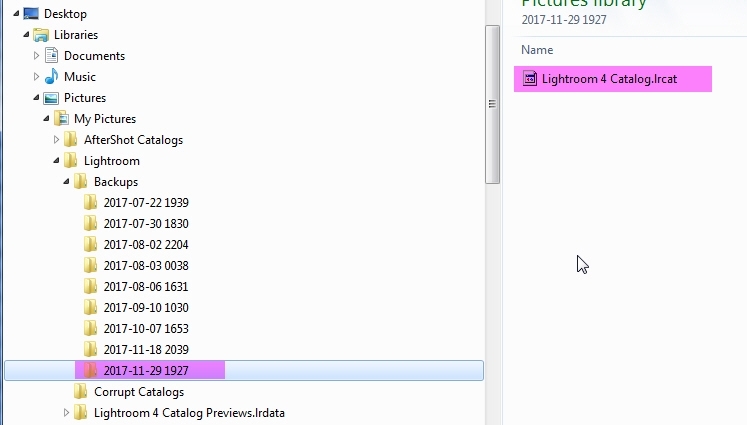 On your old computer, look at Lightroom's preferences under the 'Presets' group. 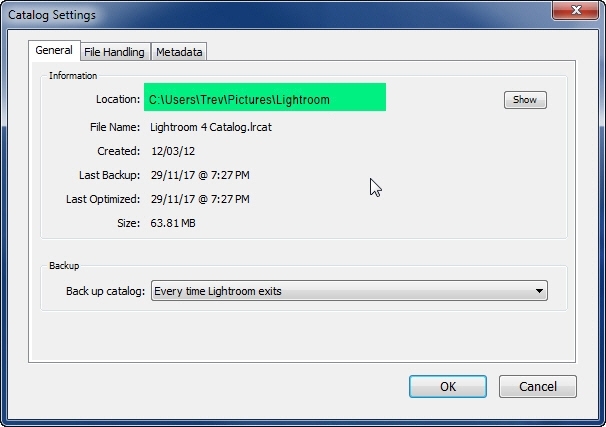 You should then be able to click on a 'Show Lightroom Presets Folder...' button. Right click on a preset and pick show in folder. Hi - Bringing this one up again. I am purchasing a big external hard drive where I can store all my RAW photos. I have them on two different computers. Each installation of LR has a catalog. If I blindly move all my raw photos to this new hard drive, and then blindly move the catalogs, is each catalog intelligent enough to match up with the corresponding RAW photos? It would be lovely, but I don't see how it's possible since the locations are now different. On another note, I think I have seen something about setting up LR in such a way that the RAW files are on an external drive, and the catalog is on the internal drive, but "smart previews" are used to make things run a whole lot faster. Am I getting things mixed up, or can someone enlighten me on all this? Logically, it will be the 'Path' which will be the downfall, when trying to access Files from a Catalogue, as the Path, say on a set Drive, like C:\Users\Dave\Pictures\Lightroom (similar to where my Catalogue lives) and they won't match up once you've moved a Catalogue and or Files, even though both may be on the one Drive, or mixed. Once a File is moved, it's regarded as 'Missing', like I've found with this file, I edited it, then moved it into another folder, and even though both Catalogue/Files live on same Drive, it won't find it. Sometimes once it comes up with a warning the first time, a palette opens and 'offers to go looking', now I've never used that, and you may be able to navigate to the Catalogue's location. Also, I do Backups, I've set LR up so that each and every time I close, it asks if I want to backup or 'skip'; that way, a brand new Catalogue is created individually, with all the current settings/files/edits, etc. into a separate folder I choose 'Backup'. That has saved my bacon a couple of times, since catalogues can corrupt, so I just find the last good one, double click and bingo, I have it all apart from if on any edits, I've done prior. But I even have a way around that if important, I will close/choose 'backup', it backs up, I then re-open LR, and just close again, that way it backs up again. I do clean the back-up files out when it gets up a bit though, as the files/backups can result in hundreds of Mbs space taken up, I generally keep around 6-10 backups, deleting earlier ones. You can see by this shot below, I have from July up until end November. See the 'Corrupt Catalogues' just below the main folder highlighted, anything that corrupts goes automatically into that. Again I would clean out if it happens, but I've only ever had to open an earlier Catalogue 2-3 times in past 5 years. Cannot help any further Dave, and I only posted now thinking someone else may have a way. Trev - have you ever tried to update the path? I had a feeling it (the path to the catalog) would be the problem, as the catalog brain has to find the associated photo. No Dave, I have not. Since I've never wanted to need the photos anyway. Just that once I've finished I may remove/move photos and only when I come back to LR it says of course missing, but since I am done, I just remove those photos from the catalogue anyway. I may have good news. Found something... if you open LR Catalog, and 'see' the folders in the Library, but images are not there read this..... looks promising. Read the article in full... I just grabbed some excerpts from it above. It was bugging me so after some searching I found this promising article. Thanks, Trev!! It will be a great read while the weather is as cold as ever here in Boston.